While completing my MFA thesis work at Gettysburg, Pennsylvania, I spent time looking at Timothy O’Sullivan and Alexander Gardner’s albumen prints and glass plate negatives from the Civil War. 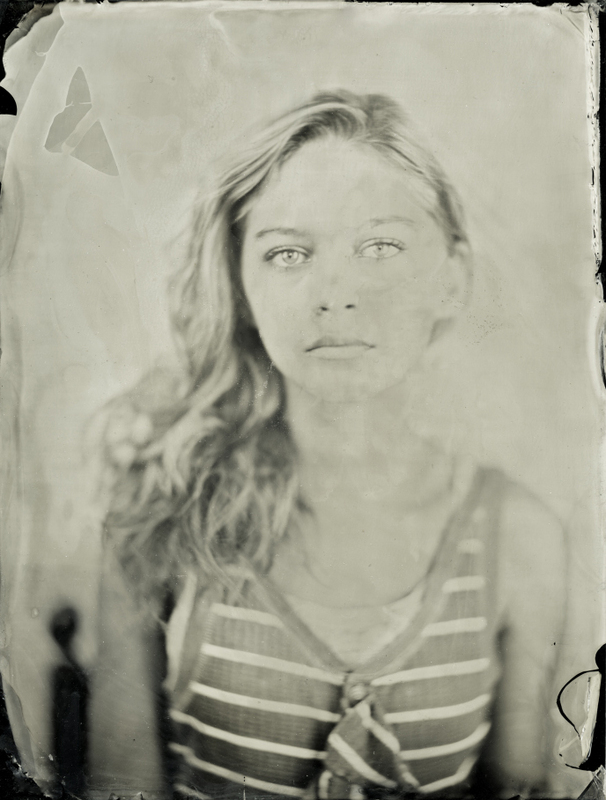 Captivated by the tonal beauty of those images, I decided to learn the photographic process they had used in their work – wet plate collodion. Having worked digitally for years, I felt that I had lost my connection with photographs as unique objects, and I was drawn to the tactile, hands-on approach of that 19th century process. 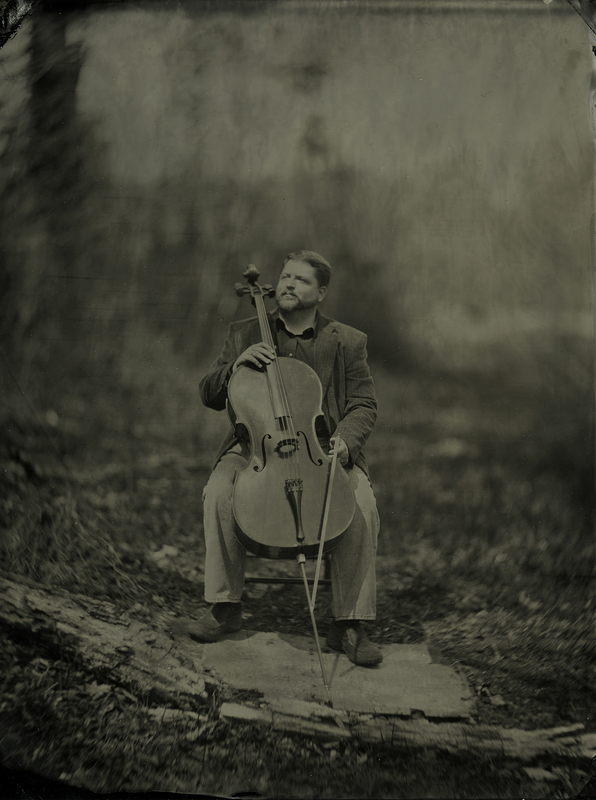 After intensive study with contemporary wet plate master John Coffer, I began to use the collodion process intensively in my personal studio practice to make tintypes, ambrotypes, and glass plate negatives. Invented in 1851 by Englishman Frederick Scott Archer, wet plate collodion was the successor to Daguerreotype and the primary means of photography through 1880. It is labor-intensive and requires extensive chemical preparation. It is also a rather contemplative process, involving more careful compositions and longer exposure times that invite a deeper connection with the subject. Because the emulsion is hand-poured, each image contains the direct traces of human handling. Every exposure must be developed within a matter of minutes in the studio or in the field, using a portable darkroom. Sometimes the chemistry of the process can produce imperfections, which add their own interesting and often dramatic effects – variables that I am exploring as abstractions. My camera is an archaic looking wooden box with a bellows and an original 1872 brass barrel lens. The optical quality of that lens is amazing, creating sharp points of focus as well as peripheral out-of-focus areas that are atmospheric and appear to swirl. In my portraits, I want to move beyond surface appearances to more genuine facets of each person’s personality and interests. Stillness and quiet reflection are invited. Because my work is grounded in the early history of photography, it invites a dialogue between past and present, ancient and modern. For more of my images, click here, or visit my Facebook Studio Page.